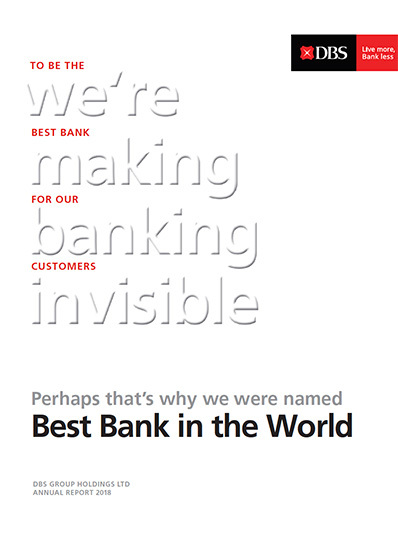 Find out why we were named the best bank in the world. 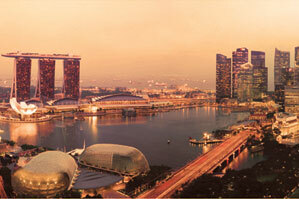 DBS, a leading financial services group headquartered in Singapore, operates across 18 markets. We are a bank born and bred in Asia, with a growing presence in Southeast Asia, Greater China and South Asia. A frontrunner in digital transformation, we seek to deliver a new kind of banking that is so simple, seamless and invisible, that customers have more time to spend on the people or things they care about. We invite you to be part of the journey to Live more, Bank less. Since our founding 50 years ago, DBS has always had a history of trailblazing and innovating. As we celebrate our 50th anniversary, we are honoured that our digital leadership has been recognised as leading the way not just in Asia but the world. DBS was also named the ‘World’s Best Digital Bank’ in 2016 and 2018 and the ‘World’s Best SME Bank’ in 2018 by Euromoney. The bank has also been named "Safest Bank in Asia" by Global Finance for nine consecutive years from 2009 to 2017. We dedicate our progress over the years to each and every one of our customers and employees in the region. Your belief in DBS inspires us to continuously lead the way and shape the future of banking in Asia.